According to A. C. White and Kenneth Howard, Walter Kennard composed problems without the chess board. He composed many problems that have solver-entertainment value. 1.Rf1-c1 ! ZZ An amazing key, placing the wR behind tripled pawns. Edward Lasker was born in Germany and migrated to the USA in 1914. He helped making the game of Go popular in the USA with his book "Go and Go-Moku" (1934) and he also wrote several popular chess books. "It has been said that man is distinguished from animal in that he buys more books than he can read. I should like to suggest that the inclusion of a few chess books would help to make the distinction unmistakable." 1. Ke2 ! Ke7 2. Ke3 Ke6 3. Ke4 Kf6 4. Kf4 ! The white King takes the opposition and does not leave it. 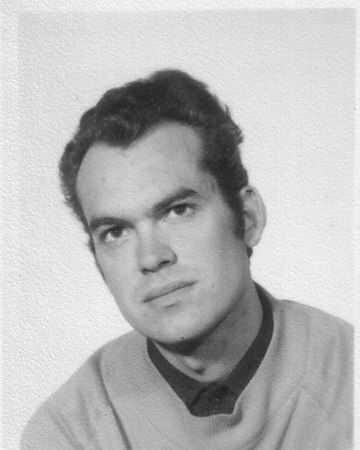 Nicolaas Voituron composed direct mates and helpmates. Battery mates, selfblocks and counterchecks are on the menu. 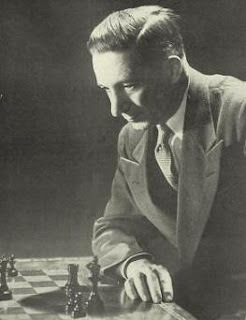 Josef Louma was a chess player of master strength, arbiter and organizer and also the Secretary of the Czechoslovakian Chess Federation in the 1930s. He composed studies. Kevin Spraggett offered some biographical information about Josef Louma on his now defunct blog [broken link], quoting Ludek Pachman's memoirs. Pierre-Antoine Cathignol is known for his complex moremovers which use corresponding squares in duels opposing white Knight vs black Bishop. 10... a4 11. f6 a3 12. f7 a2 13. b8=Q+! Kxb8 14. f8=Q+ and wins. Pierre-Antoine Cathignol may confess that he failed in almost everything in life, however he will remain in chess composing history for his length records in captureless moremovers. Let's hope he composes more of them ! If you still want to investigate in order to understand the above solution, please take your time. If you have not understood much of that solution, please read further by Clicking on the 'Show Detailed Solution' button. The detailed solution below is a summarized translation from the author's own account of his intended solution. First of all the corresponding squares of the S vs B duel must be identified. 1. If the wS arrives to a5, c5, e5, g5 or h6, White mates in 1. 2. If the wS arrives to b3, d3, f3, c4, e4, the bB must come to (respectively) b4, d4, f4, c3 and e3. 3. Likewise, if the wS arrives to g4, the bB must come to f4 or g7. These squares which allow the wS to win, except if the bB is on a certain square (or certain squares) named corresponding squares. The study of these corresponding squares will show that for the bB d4 is the right square if the wS is on a6, a8, e8 and d5. It also shows that if the wS is on b5, neither d4 nor any other square accessible from a7 is a corresponding square. This means that the key is 1.Sb5! and not 1.Sd5? Bd4! b2, d2, f2, h2, a3, c3, e3, g3, a5, c5, e5, g5, b6, f6 and h6 are winning for White but inaccessible to the wS.